Original Emotional Expressive Oil Painting by Yuming Zhu. Extra discount crediting for Framing. The painting is ready to be framed. Yuming Zhu is a very passionate and well-known artist in the Great Seattle area. Sumi/Chinese Watercolor, Oil and Pastel are the mediums Yuming loves to express himself with. He participated in the “Five Thoughts of Asian Art” program that was offered through the Seattle Art Museum and KCTS Channel 9. He continues teaching sumi painting and calligraphy at community colleges, art centers at the Greater Seattle area and nation-wide. Also he shows his artworks at Yuming Fine Art Studio. 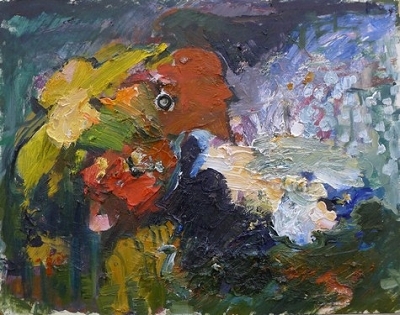 To see more variety of his work, you can visit www.YumingFineArt.com.